Although mild-mannered outside of the ring, The Cold Bloods are a different beast entirely after the match starts. 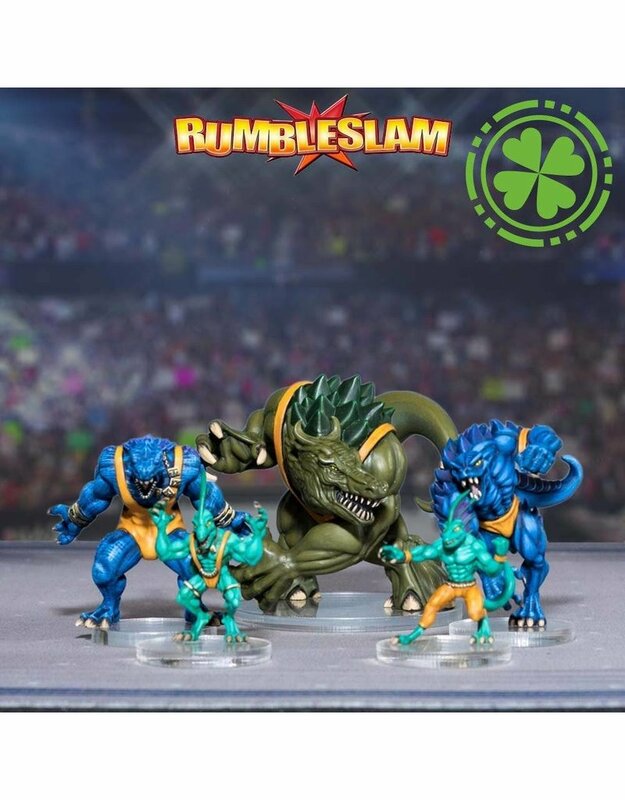 Naturally resilient to damage, these walking lizards make fine RUMBLESLAM wrestlers, and great additions to a Forest Soul team. Gekko Brawlers and Gekko Grapplers may not hit very hard, but with their Skitter ability they dart around the ring, always managing to be in the right place at the right time. Saurian Brawlers and Saurian Grapplers lack the speed of their smaller kin, but make up for that with sheer aggression. With Sharpened Claws brawling is their forte, leaving opponents not just battered, but bleeding too. A Krux is one of the most formidable wrestlers to step foot in the ring. Strong and tough, these creatures are hard to deal with, even before taking into account their debilitating Roar! Abilities. This box contains one of each: Gekko Brawler, Gekko Grappler, Saurian Brawler, Saurian Grappler, and Krux. All miniatures are supplied unpainted and unassembled with a unique character profile card and base.